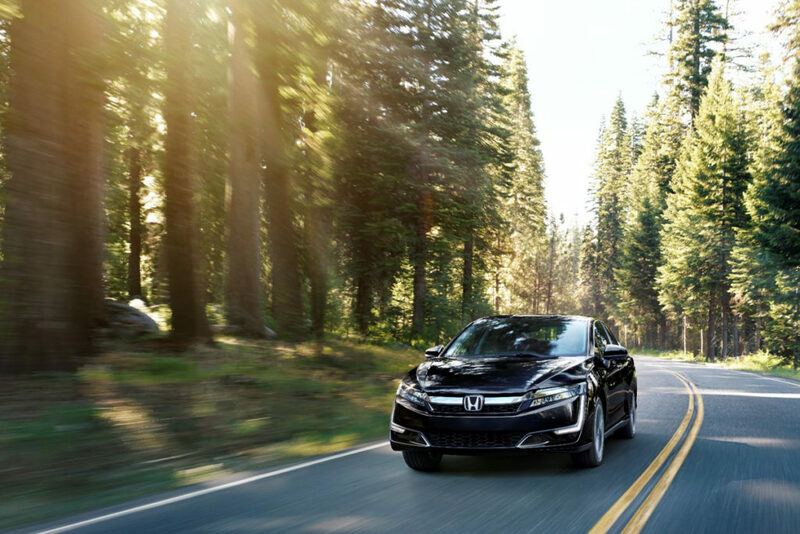 The 2018 Honda Clarity Plug In Hybrid has received an EPA all-electric range rating of up to 47 miles. That’s the best of any midsize plug-in hybrid sedan and third-best of all PHEVs in the market, behind the compact BMW i3 REX (97 miles) and the compact Chevrolet Volt (53 miles). 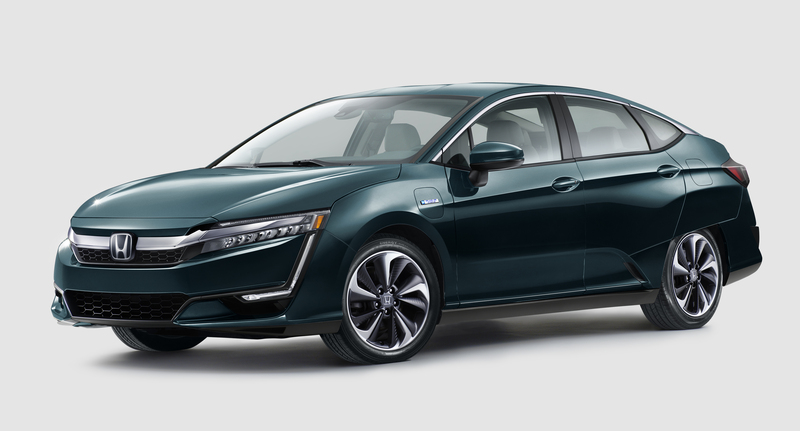 Honda says the EPA also has rated the Clarity PHEV at 44 miles per gallon in the city, 40 on the highway and 42 mpg combined when running in standard gas-electric hybrid mode after the all-electric range has been depleted. The 5-passenger sedan is the third member of the Clarity family, which also includes that battery-electric Clarity EV, with just 89 mile of range, and the hydrogen fuel-cell electric Clarity FCEV. Both the EV and fuel-cell versions of the Clarity are already in the market, as lease-only cars, in states where electric charging stations and hydrogen fuel pumps are available and state policies promote use of all-electric vehicles. The Clarity FCEV so far is available only in metropolitan areas of Southern and Northern California. The Clarity Electric is marketed in California and Oregon. The 2018 Clarity Plug In Hybrid will be released later this year as a 50-state car, for sale or lease. It is designed to use its 1.5-liter, four-cylinder gas engine as a generator to provide electric power as much as possible once the battery pack is depleted. The gas engine also drives the car directly in certain circumstances, such as heavy acceleration and sustained high-speed highway driving. Early reviews indicate the transition from electric to gas and back again is fairly seamless. Power for the Clarity PHEV comes from a 181-horsepower electric motor producing 232 lb.-ft. of torque. It draws power from both the gasoline engine/generator and a 17-kilowatt hour, grid-charged battery pack. Recharge time is 2.5 hours at 240 volts. Drivers can select from three power modes – Normal, Econ and Sport – to maximizing efficiency or driving performance. A driver-selectable HV mode (Hybrid Vehicle) also is available. It works in conjunction with any of the three power modes to maintain the battery’s state of charge. Honda will be offering the 2018 Clarity Plug In Hybrid in standard and Touring trim levels. Pricing is expected to start in the mid-$30,000s and the Clarity PHEV’s 17 kWh battery should qualify it for the full federal tax credit of up to $7,500. Additional state tax credits or cash rebates for PHEVs are available in varying amounts in several states as well. You can check out state incentives here. Honda has not yet released other Clarity Plug-in Hybrid specifications.